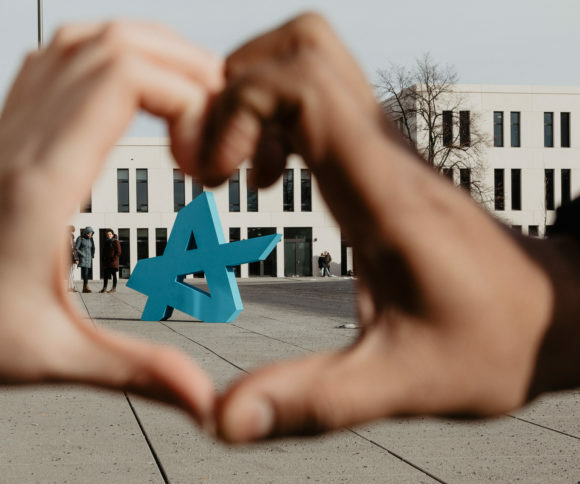 From 25 – 26 April 2019 the Accelerate Conference will take place at HHL. We met the organization team for an interview. What is the Accelerate Conference? Accelerate@HHL is the entrepreneurship event of HHL, solely organized by students. Every year we invite top startups, investors and young talents to Leipzig to talk about founding and share insights on future beliefs. This year, the conference follows the motto “The Next Big Thing”, inviting participants as well as speakers to jointly uncover industry and technological trends which will emerge and prevail during the upcoming years. Accelerate offers an excellent opportunity to get inspired by experts and founders during a 2-day event through panel discussions, keynotes and a lot of networking opportunities. In 2019, we have once more achieved to invite more than 20 fascinating speakers. Beyond the program, participants can get in touch with our speakers and sponsors during career fairs, workshops and exclusive speed dating sessions. To whom is the Accelerate addressed? Accelerate is all about entrepreneurship. We connect students, startups and innovative corporations in an exclusive and manifold setting. That’s why we warmly welcome young talents who are interested in founding their own business as well as the startup scene, but also those who simply enjoy discussions on current topics or seek to accelerate their career. With our panels “The New Way of Doing Health” and “Blockchain – Will it change the way we trust?” we address different trends that will potentially shape our everyday lives in the future. Nikita Fahrenholz, one of the most successful entrepreneurs in Germany will furthermore share his personal insights on how to scale your company to something really large. For how long have you been preparing the event so far? The organization starts immediately with the beginning of our studies. After setting up the team in September, we have been continuously organizing the conference, initially addressing our speakers and sponsors who turn Accelerate into such a success in the first place. Just as important is the planning of the event on site as well as structuring the marketing strategy for the event. All in all, we are working for approximately eight months on organizing the Accelerate conference. Could you name some challenges you faced during the organisation? One of our biggest challenges was our partial lack of experience in organizing such a professionalized event. Not all students are familiar with acquiring top-class speakers or how to set up a proper social-media strategy, simply because they have never done it before. Therefore, it was necessary to first evaluate on who has experience in which field. In some cases, we just had to learn while doing it and of course some mistakes happened but we focused on not doing the same mistakes twice. Additionally, it needed a lot of discipline and structure to schedule your 24-hours every day next to a very demanding study program at HHL. Besides that, we are very grateful for the commitment of every student in the team and the support from many HHL employees who often gave us valuable tips. What will be the highlights of this year’s Accelerate Conference? Naturally, we try to turn the whole conference into a highlight every year. In April, speakers such as Nikita Fahrenholz, Founder of Delivery Hero and Book a Tiger, as well as Farina Schurzfeld, Forbes 30 award-winning co-founder of Selfapy, will ensure an exciting and inspiring event. Traditionally, Accelerate will also include a panel discussion during which successful serial founders such as Paul Schwarzenholz (Co-Founder of Flaconi and Zenloop), and recent entrepreneurs will reveal what inspired them to found, what it means to be a founder, and how to succeed. Besides keynotes, panels and networking possibilities, we always treat our participants with small highlights. Be it food trucks, a kicker tournament or the legendary after-party – there is always plenty of goodies and entertainment. What is the Elevator Pitch Contest about? The elevator pitch contest offers early-stage startups and prospective founders a platform to present their business idea in front of a high-class jury and an audience of 300 participants. The concept is easily explained – 90 seconds time to convince some of Germany’s most renown Venture Capital Companies such as Cherry Ventures and G + J Ventures, pitching for 2,500€. Applications are submitted quickly by providing the pitch deck. 10 startups are finally selected and will have the chance to prove themselves in front of the experts. Another great thing about the pitch contest: All accepted startups will have full access to both days of the conference. In a nutshell: Why should people attend the conference? Inspiration, new insights, amazing networking opportunities, food and drinks. Accelerate creates a unique and personal atmosphere that allows students to connect with some of the most successful German entrepreneurs and investors.